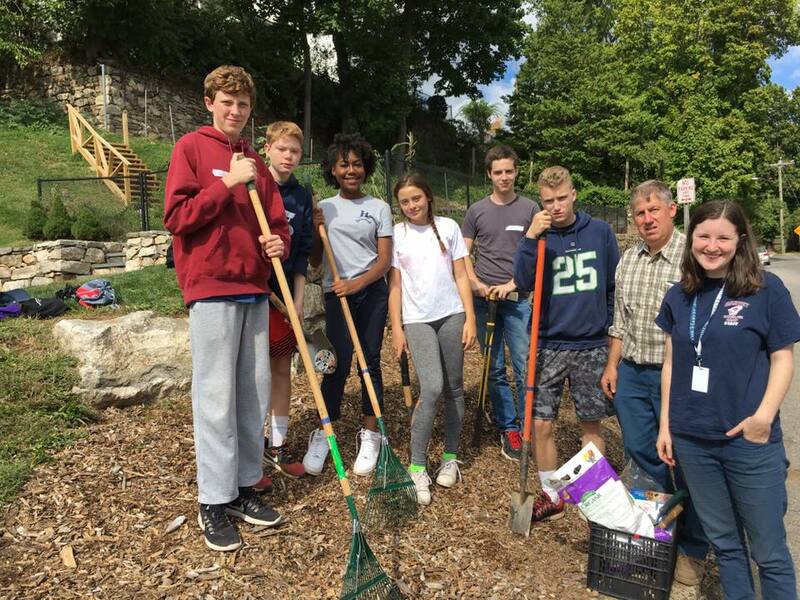 On Tuesday, October 4, 126 students and 21 teachers from Harvey School enthusiastically worked with us to plant bulbs, prime fire hydrants, clean up the streets, and paint a mural on the East Side. The Harvey School is a co-educational, college preparatory school in Katonah, NY. It was their second time volunteering with the East Side Partnership and the Childcare Learning Centers to clean and beautify our neighborhood. The Harvey volunteers created a gorgeous mural at CLC’s branch at 90 Maple Avenue with Rick Price, a renowned portrait artist and Fine Arts Chair at the school. They planted 550 daffodil bulbs and 1,500 crocus bulbs at CLC’s Maple Avenue entrance, Interstate 95 Exit 9 and behind Firestone Complete Auto Care on Crystal Street and the McKeithen Park playground. Three teams tenaciously scraped and primed 27 fire hydrants throughout the neighborhood. Side by side with part of the ESP cleanup crew, eight teams of hard-working volunteers picked up street garbage and bulk waste throughout the neighborhood. 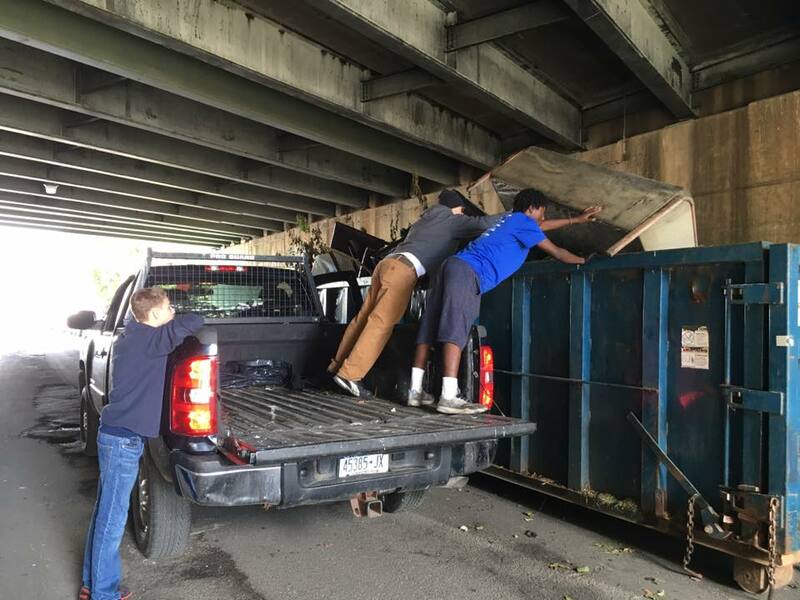 The illegally dumped large appliances, furniture and waste they gathered filled up a 40 yard roll-off dumpster. Newer PostGet ready for the Summer!